OPINION: The Shared Themes of Angel Beats! and Little Busters! Just a heads-up before I start, this should go without saying, but the following piece contains major spoilers for both Little Busters! and the Angel Beats! anime series. I find that they share similar themes, which are impossible to properly discuss without spoilers. Also, I will be assuming some level of familiarity with each of these stories and their characters, to make things simpler. 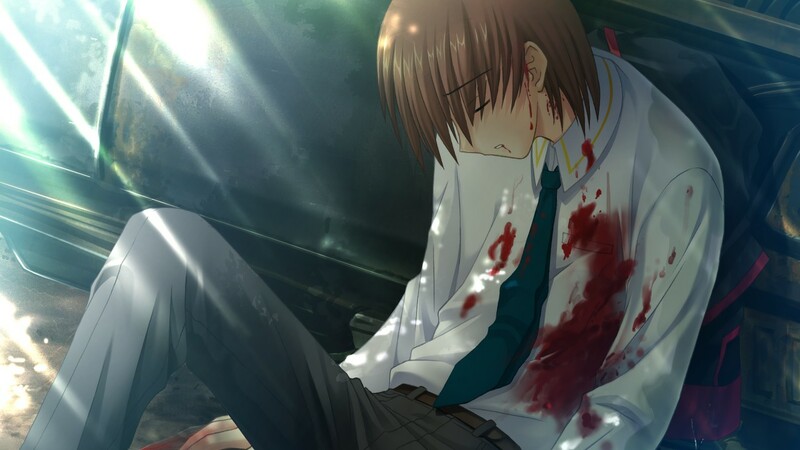 Death is not an element that’s uncommon in Jun Maeda’s work. This is not particularly shocking, considering he’s one of the progenitors of the nakige (or “crying game”) style of visual novel, which uses a specific plot structure and story elements to get the reader to cry. 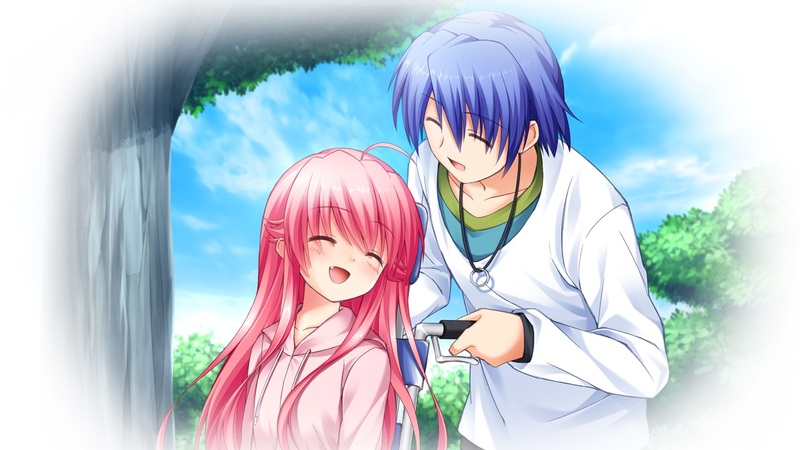 Death of characters is a way of doing this, but two works in particular go beyond death into the ideas of absolution and allowing one to move on without regrets, although they do so in somewhat different ways: the visual novel-turned-anime series Little Busters, and the anime mixed media franchise-turned-visual novel Angel Beats. Little Busters doesn’t show its true colours until you finish all the routes (including doing Rin’s twice) and unlock the Refrain story, which ties everything else together and reveals the true overarching story; the bulk of the plot, including each character’s route, takes place in a sort of dream world, created by Kyousuke and the rest of the Little Busters for Riki and Rin, following a horrific bus accident during a school trip where they were the only ones who would survive. The stated purpose of the dream world is to help Riki and Rin get stronger to face the outside world on their own, and likely deal with the deaths of their friends. The way this is done is by having Riki help each of the girls resolve their lingering regrets from their lives, while giving Rin a chance to open up and learn how to make friends beyond the core group of Riki, Kyousuke, Masato and Kengo. 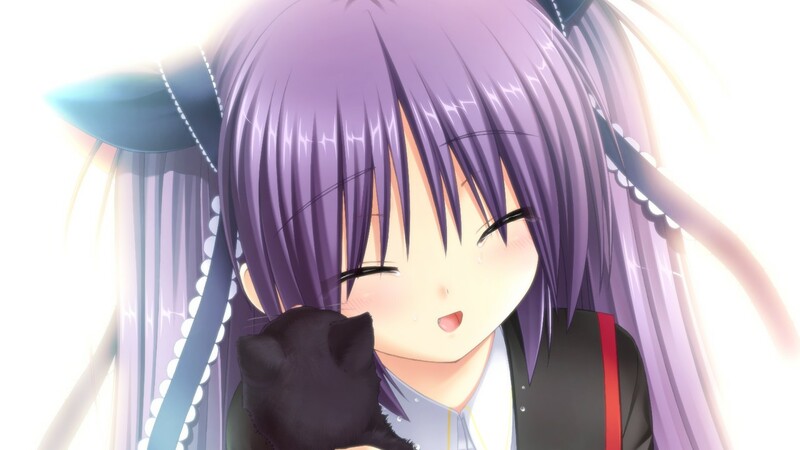 Even afterwards, Sasami’s route takes place in another dream, this time belonging to her childhood cat, resolving its dying wish to see her once more after having been abandoned several years prior. Angel Beats is more upfront with its messaging, establishing from the start that the world in which Otonashi wakes up is the afterlife. That being said, it’s not initially made clear why everyone is there, in that strange version of limbo. The only information given by Yuri at the start is that anyone who attends the school like a normal student eventually disappears, their fate initially unknown. However, as the plot progresses, Otonashi gradually realizes the purpose of the world, that is to allow those who died young after living traumatic lives to move past that trauma and resolve their own regrets by living a normal, fulfilling life before being reborn and having another chance to live. How this happens varies between characters (with most of them disappearing off-screen), whether it be by fulfilling their individual regrets like with Iwasawa and Yui, or with the graduation ceremony, like Otonashi, Kanade, Yuri, Hinata and Ayato. While the two series tackle similar themes, the way they tackle them is different. 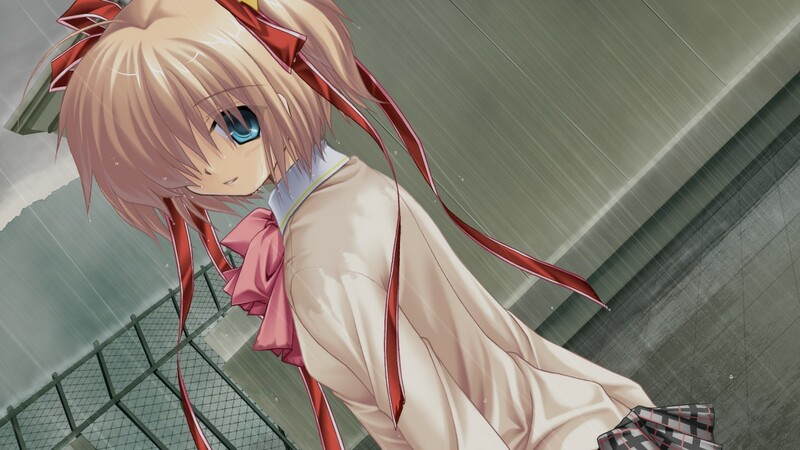 Little Busters is subtle in its approach with some of the routes, such as Komari’s and Haruka’s, being grounded enough to seem like something that could actually be happening in a realistic setting, since they deal with very concrete regrets: Komari’s inability to come to terms with her brother’s death, and Haruka’s regret about never making up with her sister Kanata. Meanwhile, others deal with more abstract issues, such as Kud’s feelings of guilt over seemingly having abandoned her mother by not returning to her home country after the failed rocket launch, Kurugaya’s curiosity about her own ability to feel regular emotions, and Mio’s wish that she could’ve been more outgoing. Meanwhile, Angel Beats takes place in a sort of afterlife, although its purpose is not made known until episode three, with Iwasawa fulfilling her wish and disappearing. From there, after remembering his own death in a train accident, Otonashi comes to realize that disappearances are linked to resolving their regrets, and eventually starts working along with Kanade to help the members of SSS move on, starting with Yui. Once the shadow creatures begin appearing and attacking, the members at large vow to move on (mostly off-screen), ending with the graduation ceremony. Finding resolution is more self-driven in Angel Beats, even if it is mostly to escape from the shadows attacking them, but it’s still self-motivated as opposed to Little Busters where it’s largely done for Riki and Rin’s sake. I wish we got to see more of how the other members of the SSS moved on in Angel Beats, but such is the nature of a short series. I’m curious to see how the visual novel approaches the subject, with the nature of the medium allowing more individual focus. 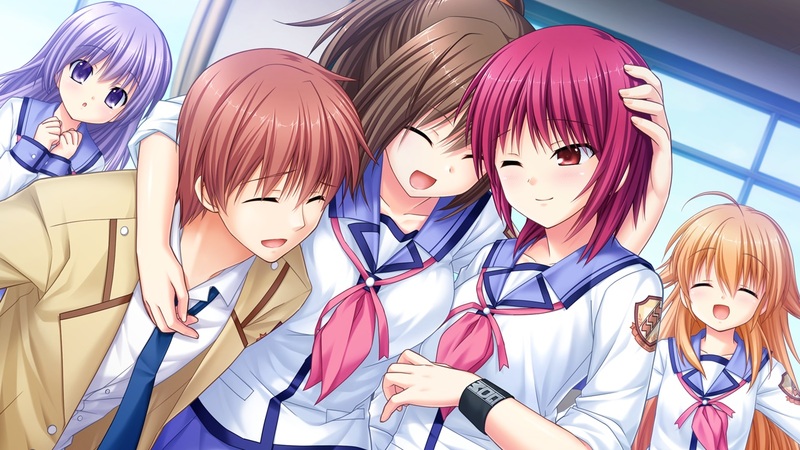 The first part features Yui, Iwasawa and Matsushita, and from what I’ve seen of the CGs (at least for Iwasawa) the story seems to be more about the characters’ “lives” together in the afterlife, but I’m going to be waiting for the eventual English version to see if and how it’s like the story in the anime. Even if absolution is less of a prominent theme in the visual novel, it will still be nice to see the backstories of the other characters, and what guilt or regrets have left them in limbo. Meanwhile it’s less specifically addressed in Little Busters, and something one would only be specifically aware of on a second full playthrough after having seen Refrain. The idea of resolution of regrets is more implicit, although it’s clearer in the less grounded routes such as Kurugaya, Mio, Kud, and Sasami. I don’t have any grand point to make by connecting the two; I just thought it was interesting that these series have such similar stories yet with such different approaches. I love both these series—Little Busters is my favourite visual novel and Angel Beats is one of my favourite anime series—and it was only fairly recently that I noticed the thematic connection between their stories. Chances are it’s just a coincidence, but it’s always interesting to see a single creator taking a shot at different approaches to a similar premise, no matter how different they may be on the surface.